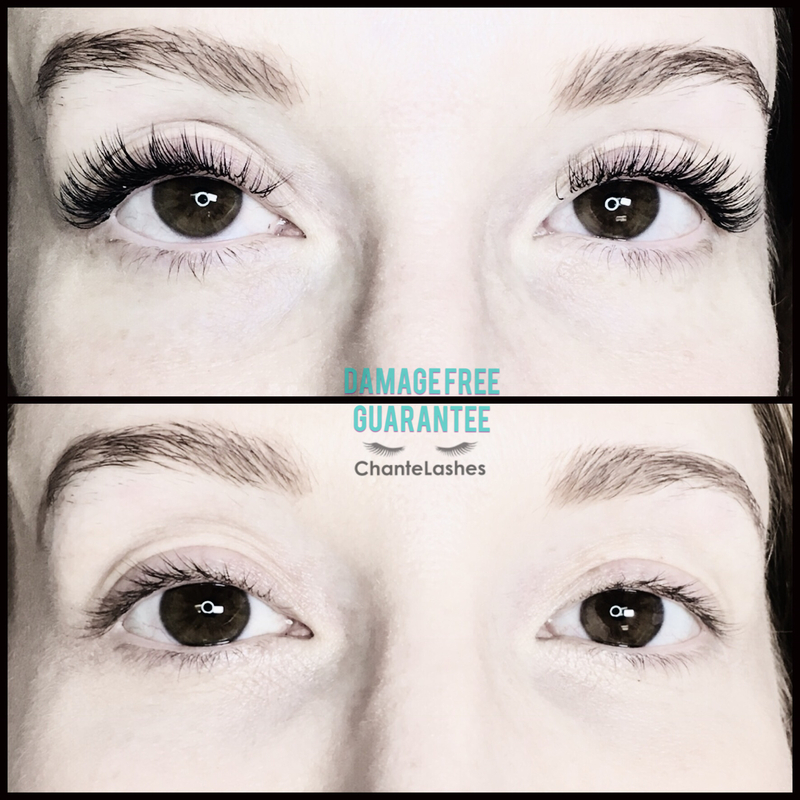 ChanteLashes – Lash Extensions, Lash Lift, Waxing, Brow Shaping – I believe all women are beautiful without makeup…and a full set of lashes. I believe all women are beautiful without makeup…and a full set of lashes. WHAT DOES THIS MEAN? 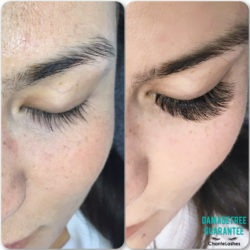 We take pride in the Lash work that is created at ChanteLashes, and through extensive training and continual education, guarantee clients that their lashes will not be damaged by our specific method of eyelash extension application. THE GUARANTEE: 100% complementary extension removal if natural lash health has been compromised due to the application method of ChanteLashes. 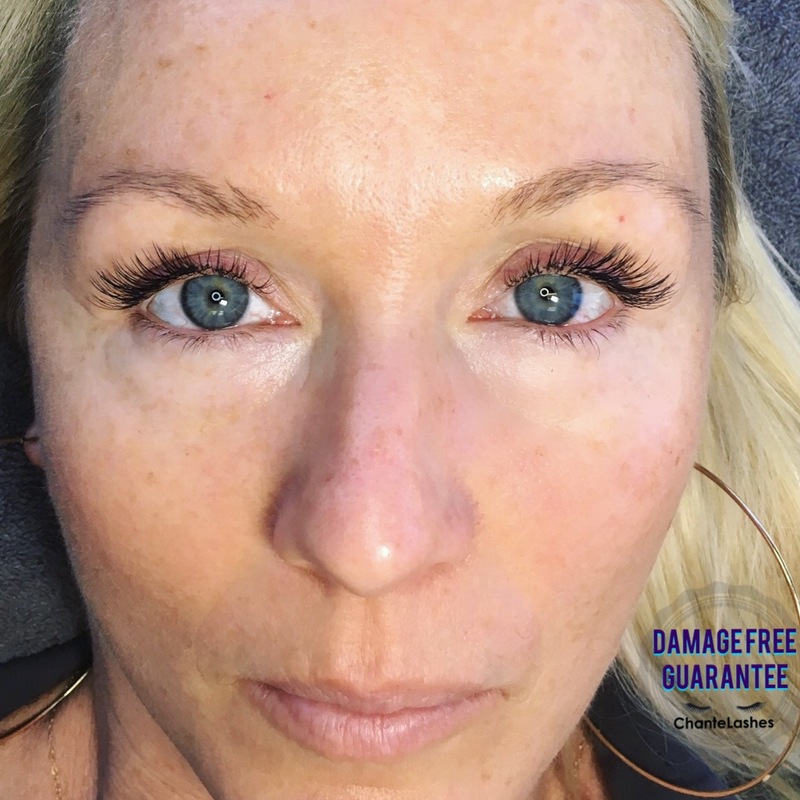 Damage not caused by product or application but due to: client health, aftercare, maintenance or exterior influences outside ChanteLashes control does not qualify under guarantee. 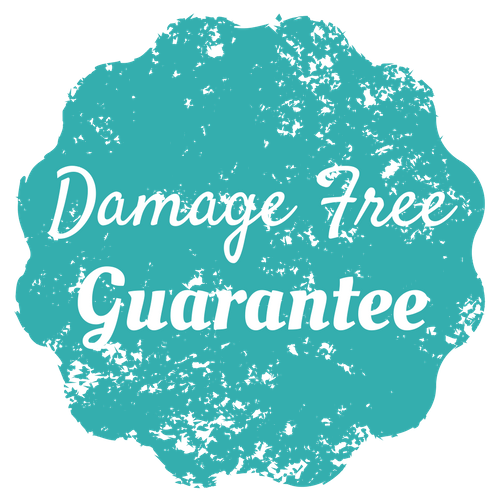 HOW CAN WE ENSURE OUR GUARANTEE? 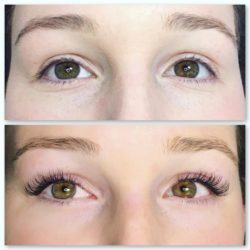 A joint effort is key to maintaining healthy natural lashes with extensions! Volume lashing, is an advanced technique in which handmade fans consisting of soft, light-weight lashes, are placed on each natural lash. 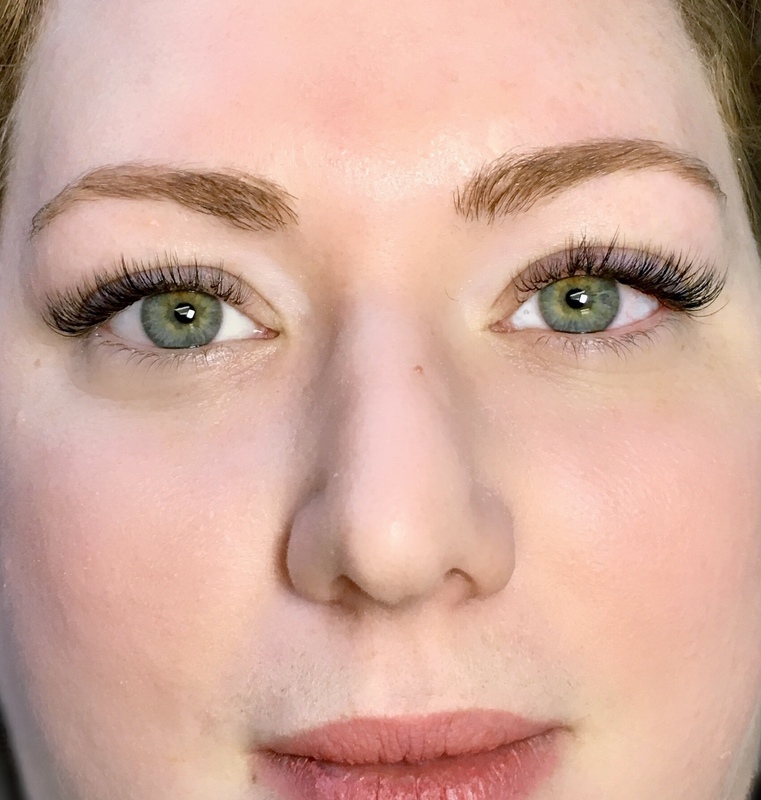 Volume lashes can be lighter on the natural lash than a single classic extension, and are the best choice for those with sparse or brittle lashes, or those who prefer a more dense and dark look to their lash line. This set gives the ultimate full coverage for a makeup free, easy morning. 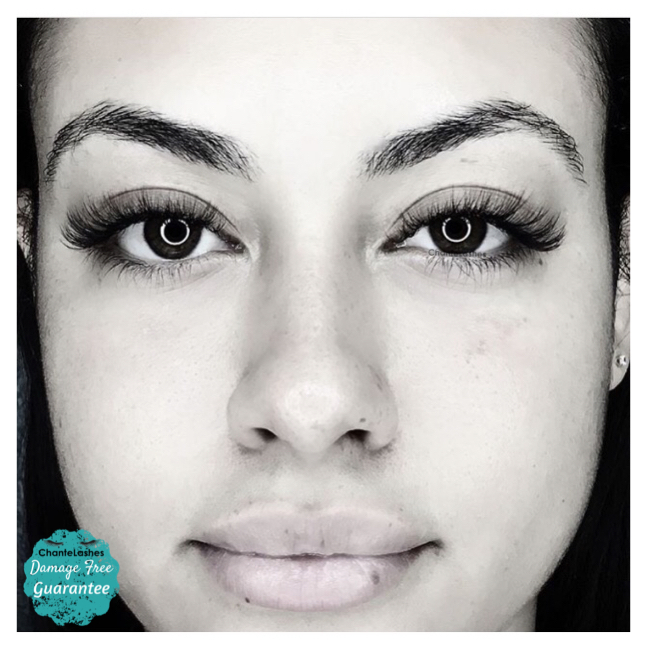 The Signature* set is a blend of Volume and Classic lash extensions. 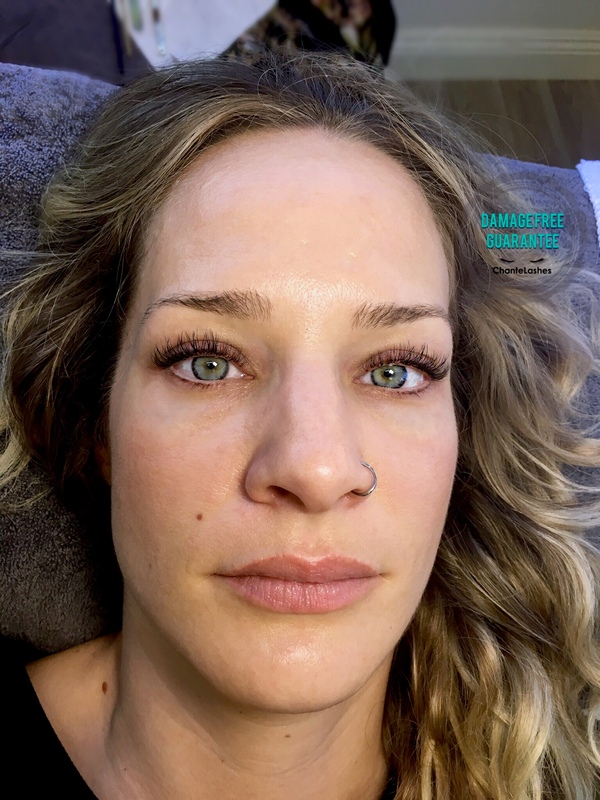 It is the top choice for those new to wearing eyelash extensions, who may not be sure if Classic or Volume is right for them. This set gives a mix of both fullness and length, eliminating the need for mascara and eyeliner. 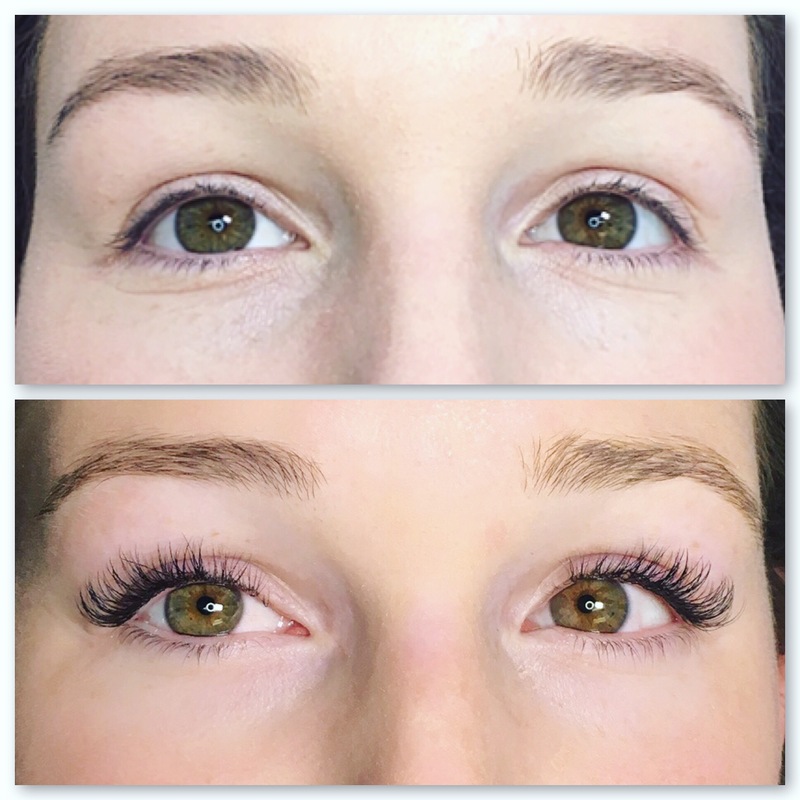 Classic lash extensions are single lashes that are adhered to each individual natural lash. 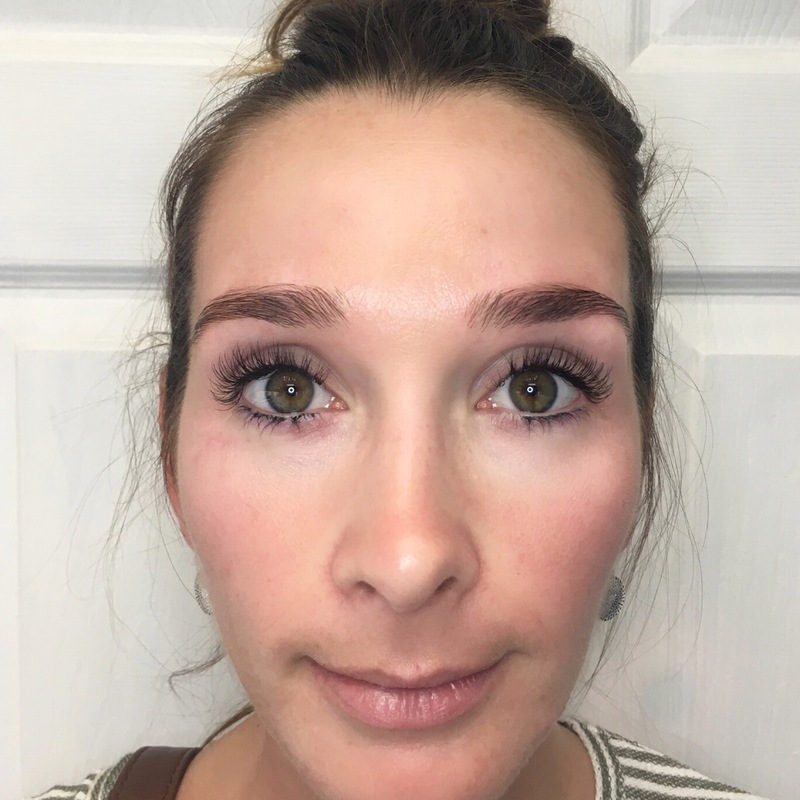 This set adds length and curl to the lashes for a beautiful, enhanced mascara look. Cancellation Policy: As a courtesy, appointment reminders are sent out 48 hours in advance. Any cancellations or changes of appointments should be made by 4pm the day prior to the existing appointment. Same day cancellations or no-shows will result in a charge of 50% of the service booked, added to the client’s next visit. This is to protect your time that is set aside especially for you, as well as our time, which books up quickly. In turn, we promise to keep appointments on time and deliver the best Lash work San Diego has to offer! Arrival: Appointments start promptly and are time sensitive – arriving 5 minutes before your scheduled time is strongly recommended to ensure appointment efficiency. Late arrivals are not guaranteed an extension to their appointment time. Refunds: Refunds are not granted for services or products purchased. If you are unhappy with your service, you may contact us within 72 hours of the appointment to discuss your concerns, which we will address to the best of our capabilities. 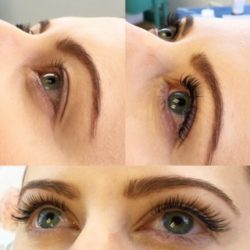 Other artist’s work: Clients coming to ChanteLashes wearing extensions from a previous lash artist are required to book a New Client Extended Fill for their first visit. 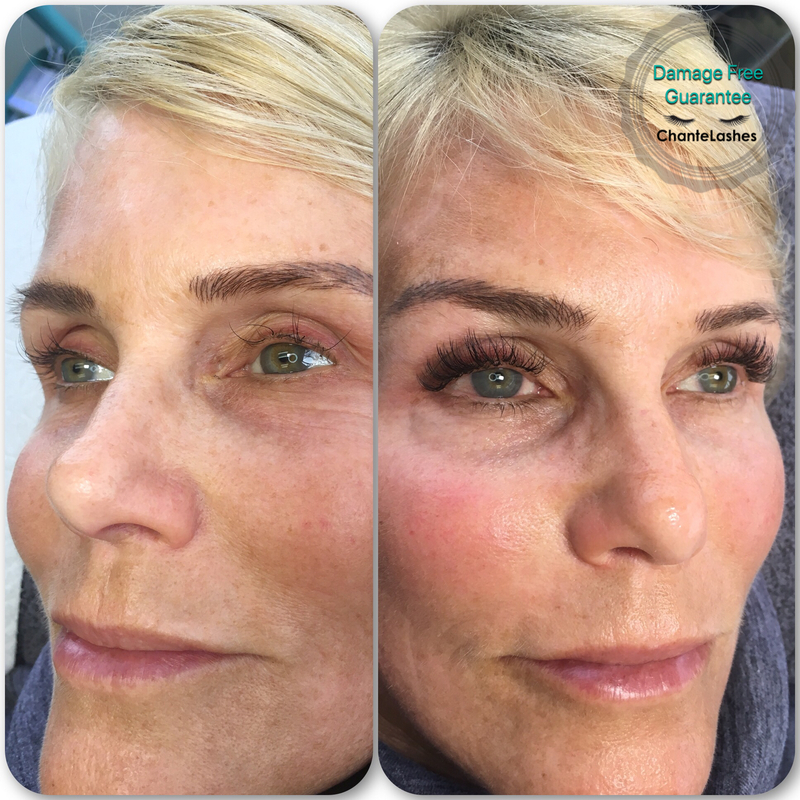 After the initial visit, regular 2-3 week Lash Fills can be continued. 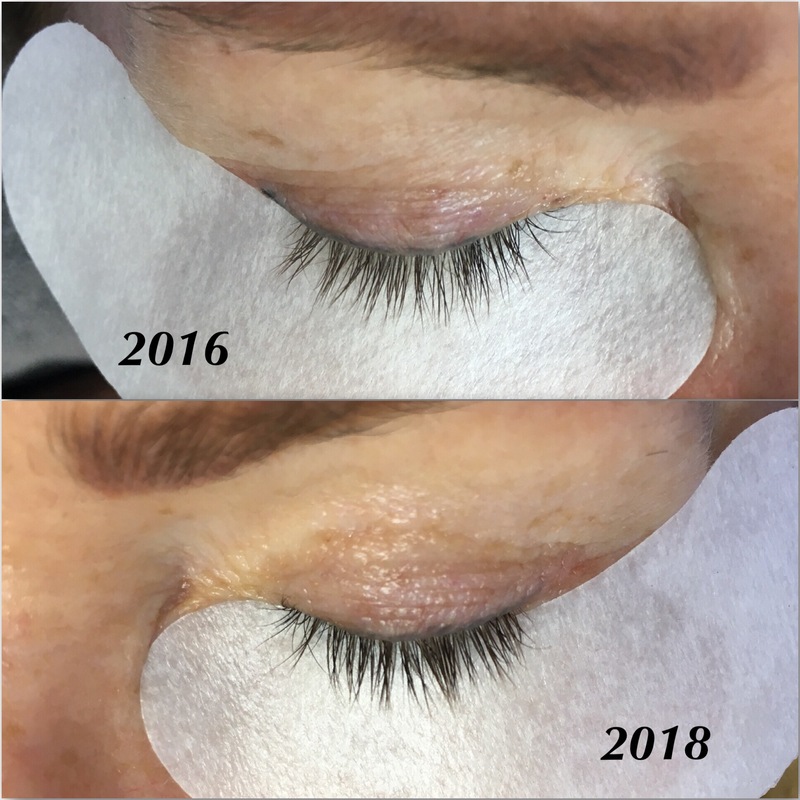 Wedding Lashes: Brides are required to book their initial appointment 2-3 weeks before their event, followed by a refill just prior to the big day. 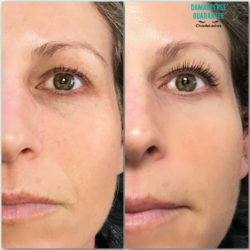 This allows the client the ability to change and perfect the lash styling if desired, during their refill appointment. 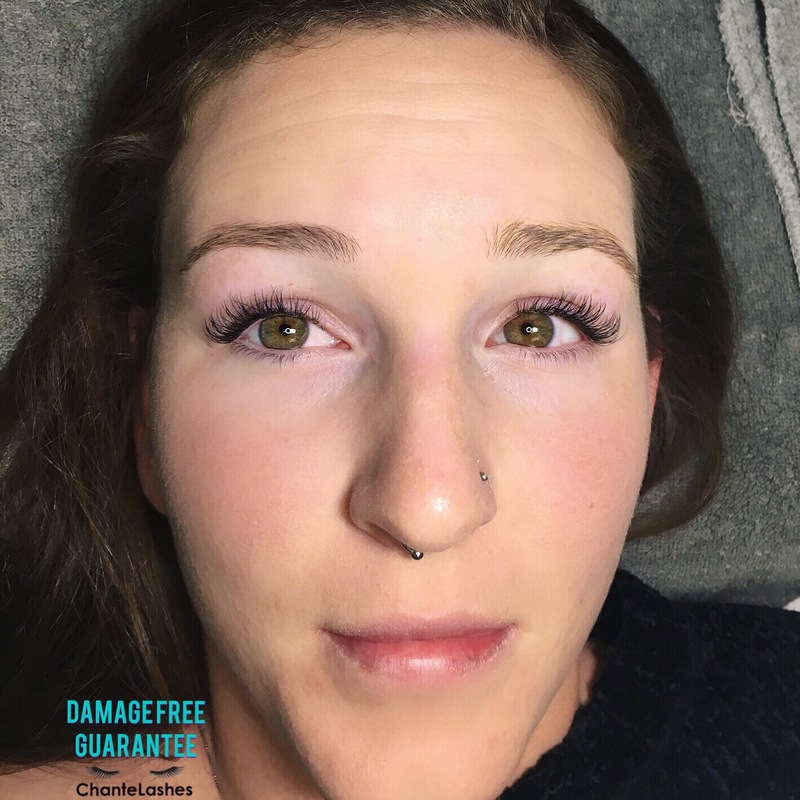 Damage Free Guarantee does not apply to exterior influences on the lashes that are outside the control of ChanteLashes. To include, but not limited to: seasonal lash shedding, medications that affect the body’s ability to sustain natural lash integrity, poor hygiene, use of products on the lashes that have not been recommended by ChanteLashes, misuse of recommended products, pulling, tugging or smashing extensions, intentional damaging of the natural lashes or extensions, use of heat, eyelash curler or scissors on extensions. Additional Guests: We kindly ask that additional guests are not invited into the room during your appointment. If traveling with others, there is a large waiting area in the salon as well as an outside patio for guests to reside. Home care for lashes is simple and easy. 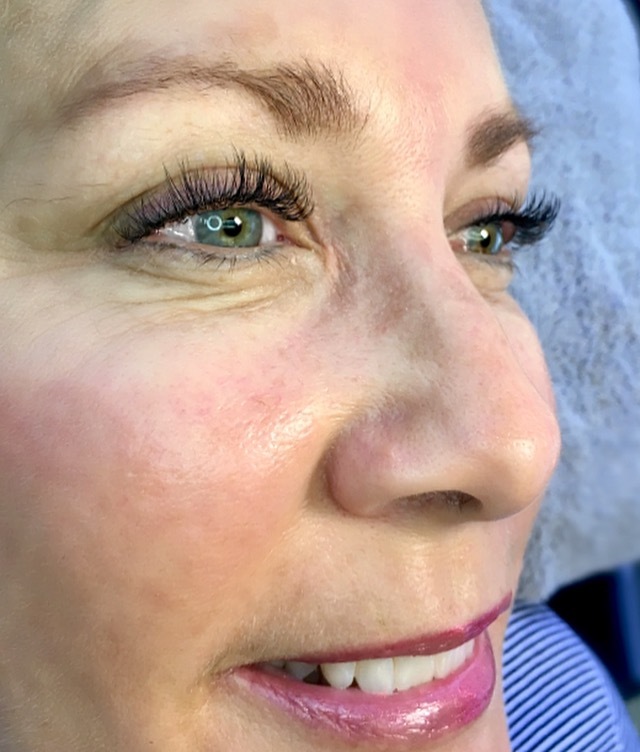 Make sure to wash your lashes daily with an eyelash extension-safe cleanser, to wash away oil and other build-up that may break down the bond of the adhesive and cause early lash fallout. 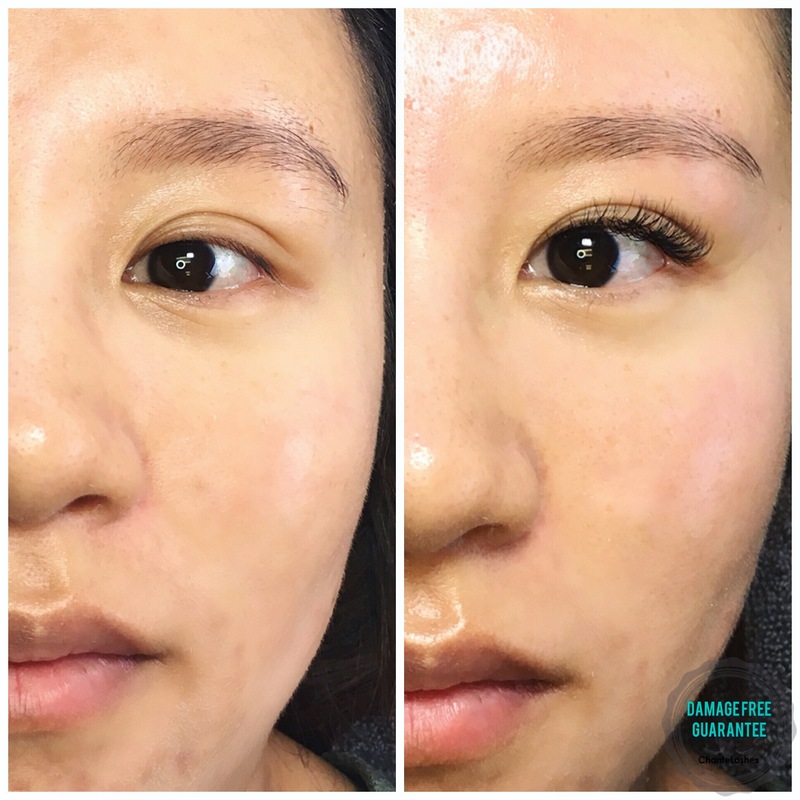 Do not pull, pick, or sleep on your lashes. Brush lashes daily to keep them separated and lush. 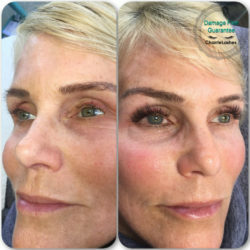 Lashes must remain dry for 6-12 hours after the service. This allows proper time for the adhesive to set completely. 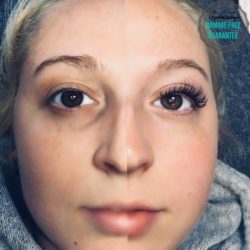 Daily showering and hygiene is not detrimental to the lashes, however excessive exposure to steam and water can loosen the bond and cause lashes to shed more rapidly. Can I wear make up on my lashes? 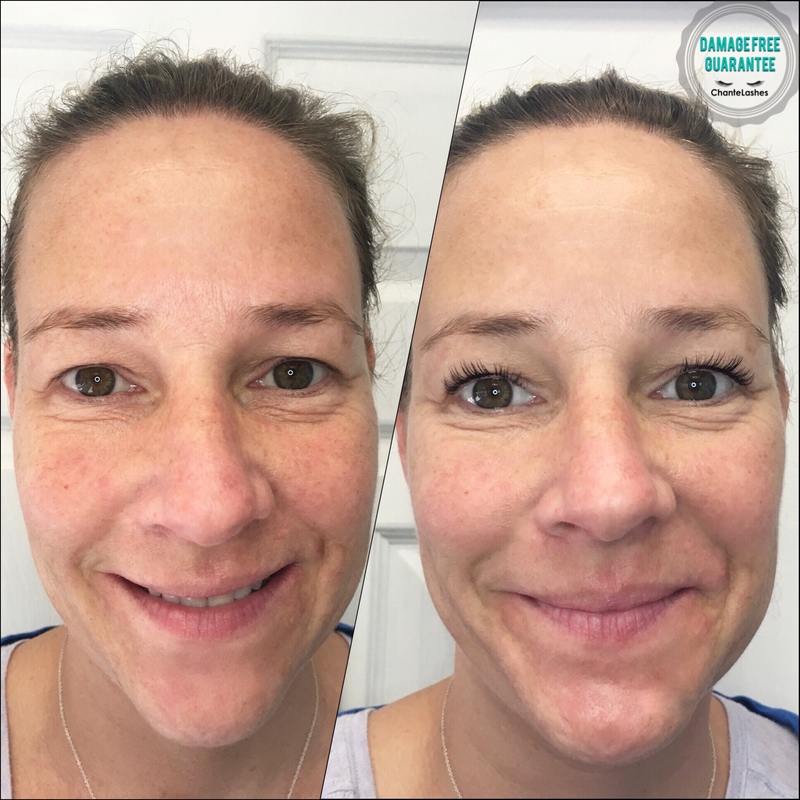 We do not encourage wearing makeup on or around eyelash extensions, as there may be ingredients that can break down the adhesive and cause fallout. If makeup is worn, it must be water-based or powder products ONLY, and cleansed off completely at the end of the day. Avoid water-proof, oil-based or creamy products around lashes. 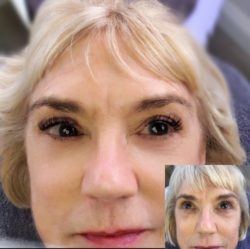 Does working out/exercise affect my lashes? 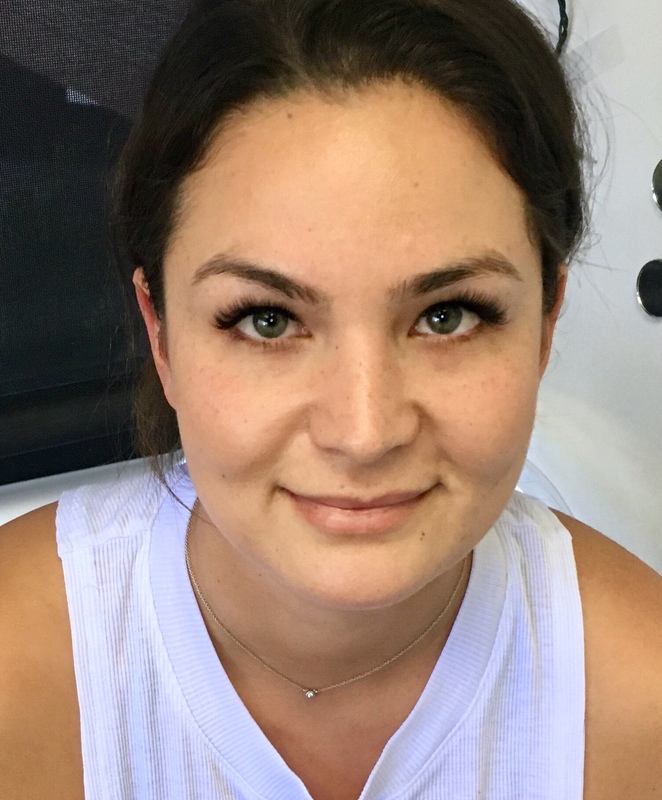 Sweat does contain oil, which we want to avoid getting on our lashes, so it is important to always wash your lashes after a workout to keep them clean and oil free. When doing activities that cause profuse sweating such as hot yoga, spin, etc, it is a good idea to wear a head band to keep sweat from dripping onto the eyes. 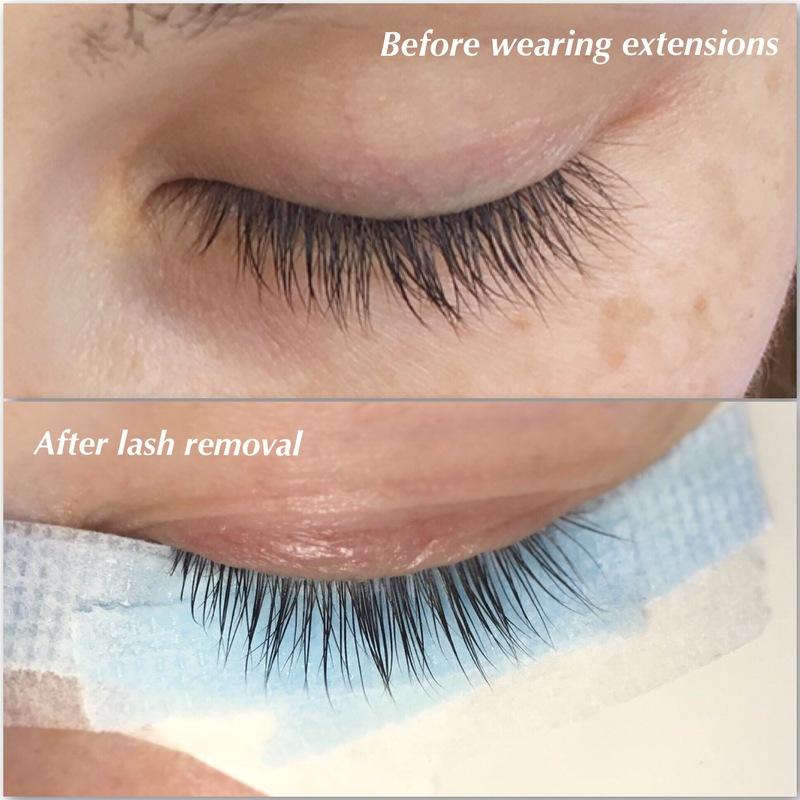 The life of your extensions will vary depending on one’s natural lash shedding cycle, hygiene, life style and home care. 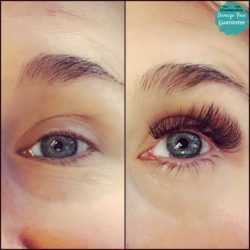 It may take up to 5 or 6 weeks for a full set of lashes to shed completely. 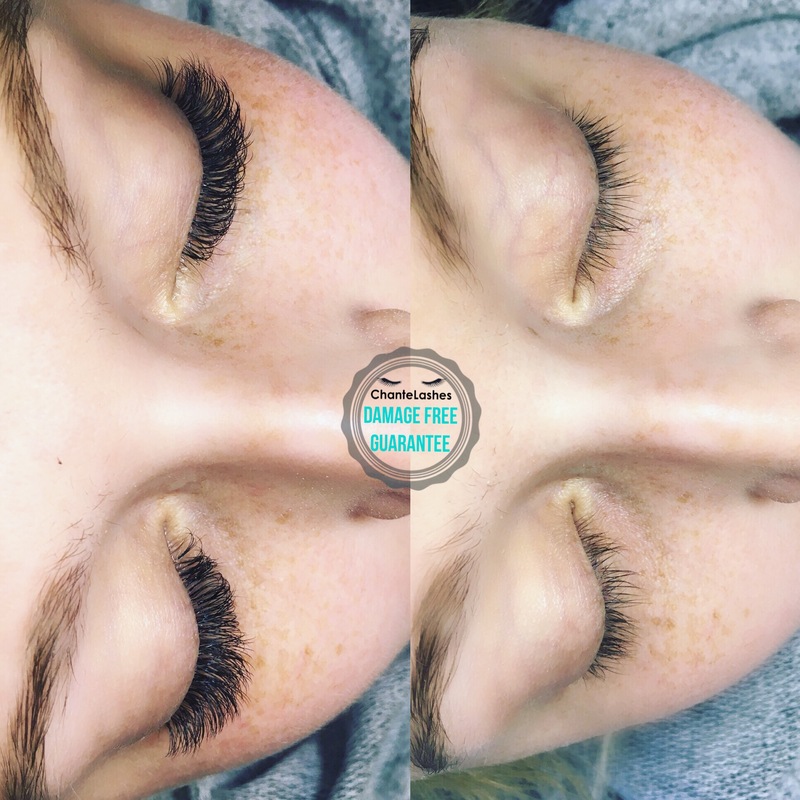 Typically we shed anywhere from 2-5 natural lashes per day, therefore refills are recommended every 2-3 weeks to keep lashes looking full and fresh. What happens if I get an allergic reaction to lash extensions? 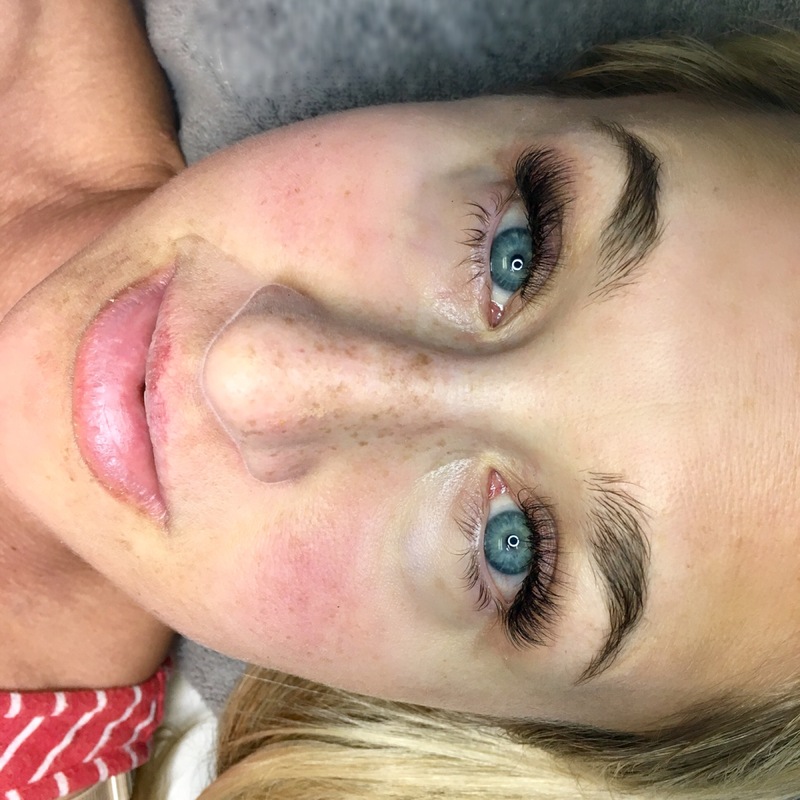 It is always important to take proper care of your eyes and consult your doctor in the event of any type of allergic reaction. 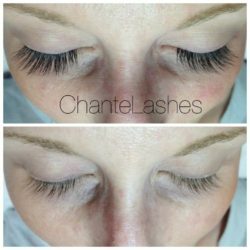 If a reaction should occur after the first initial appointment, please contact ChanteLashes within 72 hours of the service. 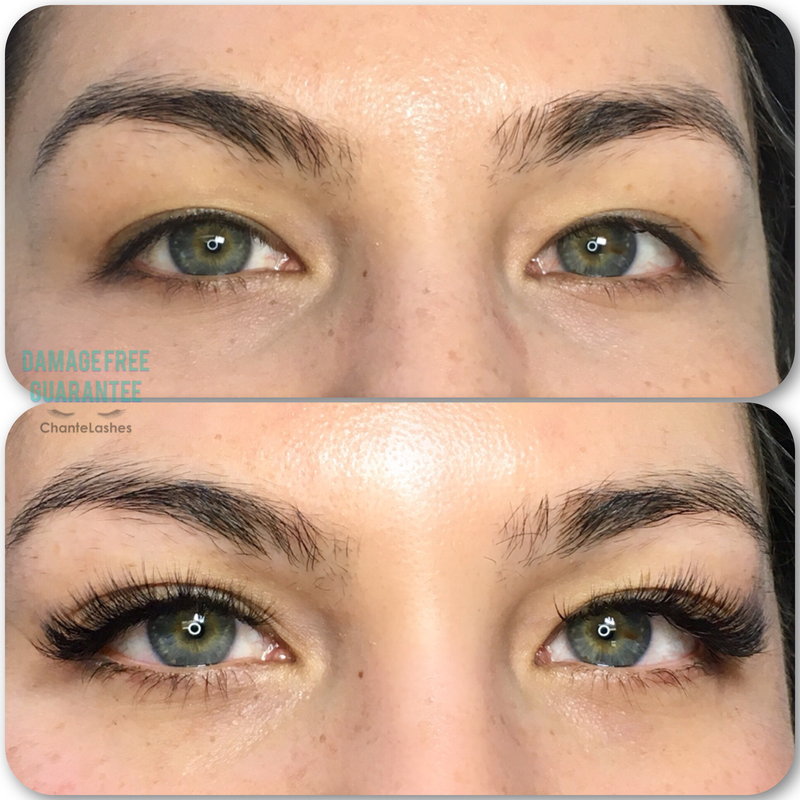 Following a doctors approval, a removal of the lash extensions will be given complementary. Do extensions damage the natural eyelashes? Lash extensions should NEVER compromise the health of one’s natural eyelashes. 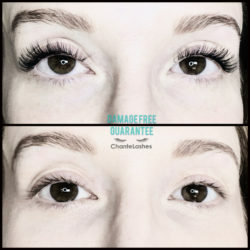 At ChanteLashes, careful consideration goes into the size or amount of extensions being applied, to ensure natural lashes are not being weighed down or damaged in any way. 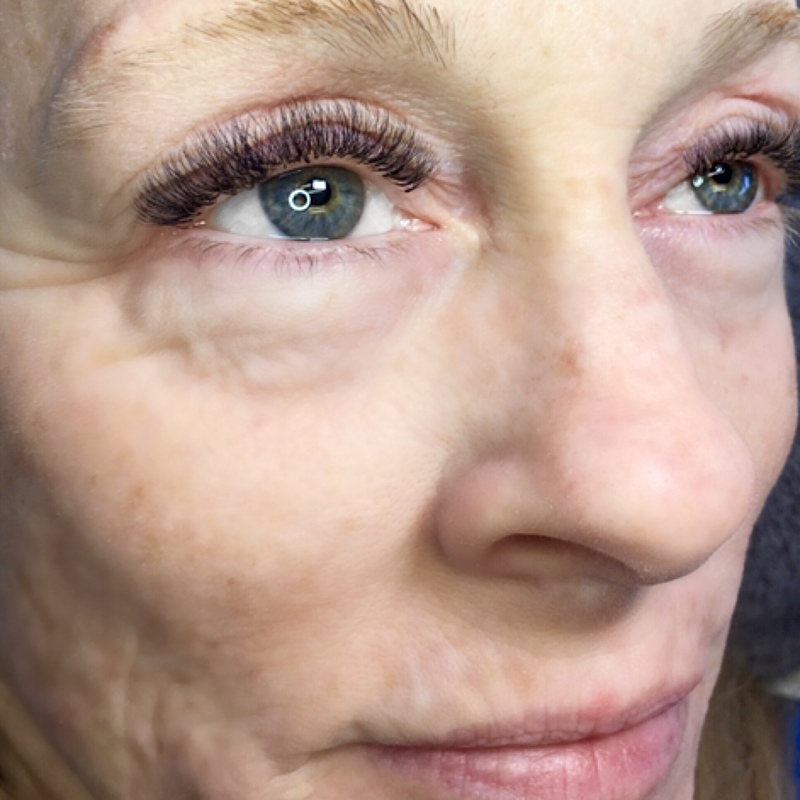 Each lash is isolated from one another and lashes are never glued together or applied to the skin. They should feel virtually weightless and completely comfortable. Chantel is a licensed esthetician who has been working in the industry since 2010. 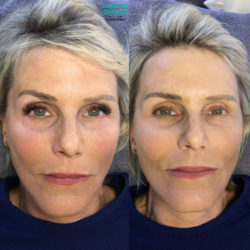 She is a CA State Board Certified Esthetician, Lash Affair Volume Lash Certified, YumiLash Lash Lift Certified, and EWC Speed Waxing Certified. She has enjoyed all avenues of the esthetics field and the unique craft of Lashing is the perfect fit to her creative expression. 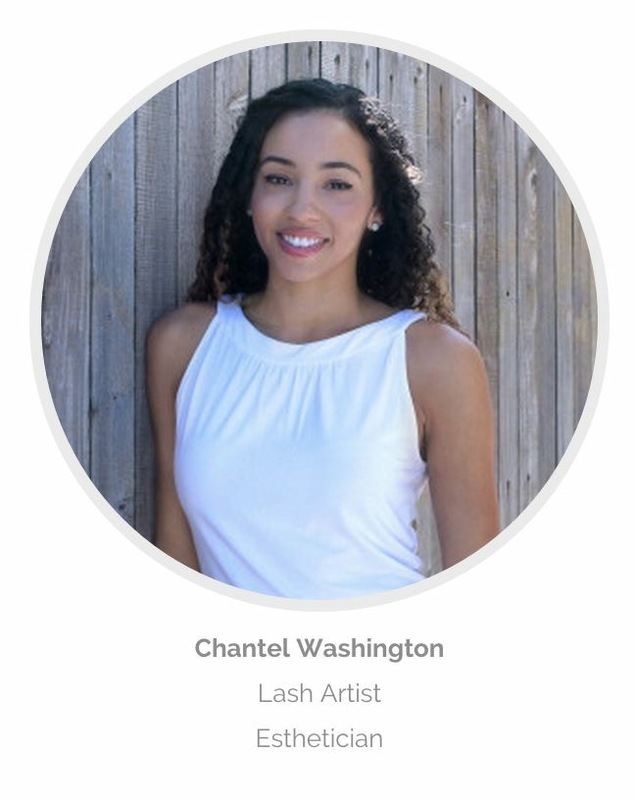 Chantel’s dream of opening a lash studio came to life in 2015 when she opened ChanteLashes, in the coastal San Diego city of Del Mar. Located 1 block from the beach, clients visiting can expect a bright and spacious atmosphere with beautiful views of the Pacific Ocean. 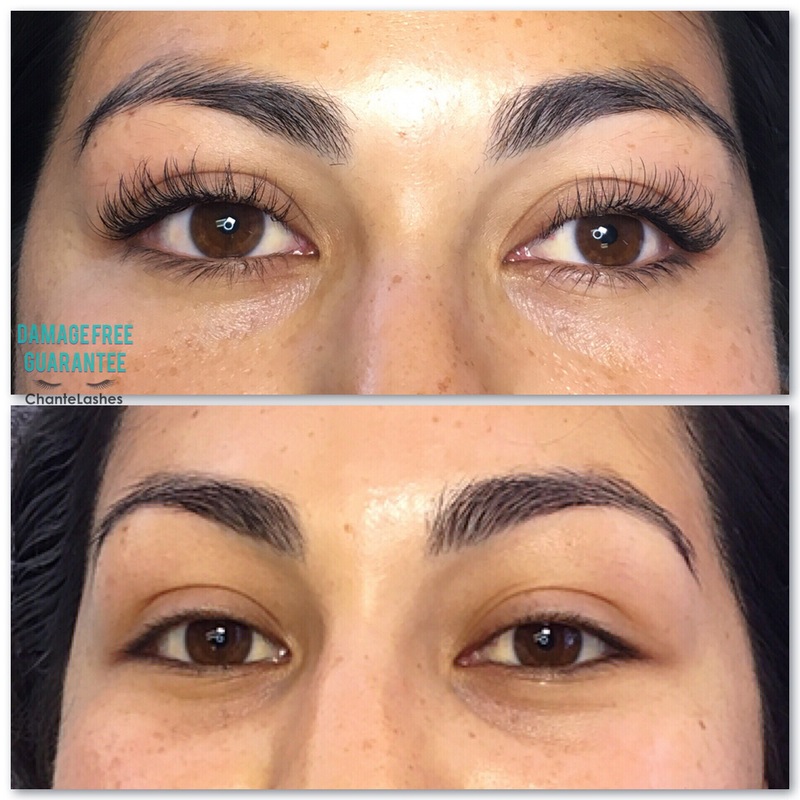 Aside from a comfortable setting, you can rest assured you (and your lashes) are in good hands. 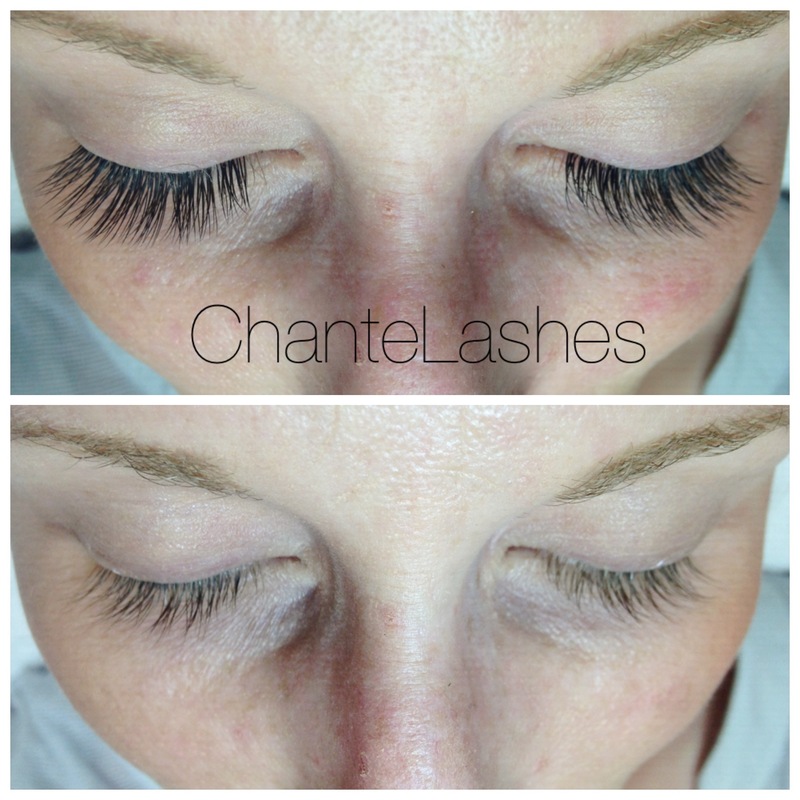 The sole purpose of ChanteLashes is to give clients their desired lash results, while taking the utmost care of their natural lashes in the process. There is a large misconception that eyelash extensions are damaging to the natural lashes, and Chantel is striving to change that perception with each client that visits, guaranteeing that the health and integrity of the natural lash will never be compromised, allowing clients to enjoy their extensions indefinitely! Join one of my social networks.